According to the latest polls, the American people are not yet aware of the full extent of the creeping tyranny that has been eroding their freedoms for over a century. President Obama still enjoys an approval rating of 61% after four months of unceasing efforts designed to diminish liberty by transferring more control over individual choices to the federal government. Granted a large segment of the population does not pay attention to politics on a daily basis and are not up to speed on the day-to-day happenings in Washington. The truth is though, that most Americans like taxes and tyranny — as long as they are directed toward someone else. They applaud when that arrogant neighbor across the street is cited by the Home Owner’s Association for displaying an oversized American Flag, because they themselves are not interested in displaying Old Glory. Ditto the elderly gentleman down the street who doesn’t cut his lawn as often as they think he should or clear the snow from his sidewalk as soon as he should. They approve of laws banning or taxing foods they consider unhealthy. The teetotaler approves when the tax is raised on liquor. The non-smoker cheers when smoking bans are instituted or additional taxes are placed on tobacco. They do not see the connection between taxes imposed on someone else or the tyranny oppressing others, and their own liberty and freedom. Most of us do not protest when a tax is added to soda, cigarettes, alcohol, etc., and we do not object when those who live an “unhealthy” lifestyle are taxed on the components of that lifestyle, or charged more for healthcare. The absurdity of our reasoning does not seem to occur to us. Following this logic, the person who frequents health clubs, abstains from unhealthy foods, drinking, smoking and gets his or her proper allotment of exercise and sleep, should live to be at least two hundred years old. Of course, that does not happen. Everyone dies, and everyone requires a certain amount of healthcare before they die. The longer they live, the more healthcare they consume. Restricting the freedom of others on the mistaken notion that it somehow reduces the cost of healthcare or saves on taxes for ourselves is absurd. Taxes and tyranny are inseparably linked. Tyranny is measured by the amount of life spent in servitude to the government and the number of personal decisions prescribed by law. At the present time, the average American spends over forty percent of his or her time working to support the ravenous appetites of governments. Only after government has been satiated can we then start using the fruits of our labor for ourselves and our families. No person can call themselves free when a major part of their labor is confiscated by government for its own purposes, or when the enjoyment of the luxuries they have earned are limited or prohibited by that same government. Even in the matter of taxation, we see the same unthinking public dynamic at work. Low income people are content when taxes are increased on those who earn more, but as people rise on the ladder of success, so does their support for a more regressive taxing system, such as the “[un]fair-tax” and similar tax schemes they mistakenly believe will tax the “underground” economy. Tax avoidance is as American as apple pie. From the colonial era smugglers and the patriots participating in the Boston Tea Party to the neighborhood pusher or minimally paid person who works “off the books”, Americans will always avoid paying taxes that are too burdensome or that they perceive as unfair. Some lawmakers and members of the Administration are beginning to talk about the most regressive tax of all, a value-added tax. A value-added tax or VAT would add an additional cost of about twenty-five percent onto everything we buy, in addition to the sales taxes, excise taxes and all the “hidden” taxes paid by consumers. Moreover, it would be in addition to taxes on incomes and capital gains. Those cheering President Obama’s prodigious spending plans “for the people” and “for the children” will probably change their tune when they realize they have mortgaged the fruits of their labor and their children’s labor for more than $540,000 per household. Unfortunately, by then it will be too late to do anything about it except pay up. The current federal debt of $63.8 trillion plus the amount added every day will be paid, either by taxes or by inflation, and remember, both taxes and inflation are born eventually by the consumer. A VAT tax would push the amount of labor demanded from the average citizen for use by the government to well over 70%. As the tax burden rises, liberty declines. Liberty is not self-perpetuating. It must be diligently defended by every generation. If we are to protect the liberties left to us, we have to show the same enthusiasm in defending those of our neighbors as we expect in defense of our own. Today they tax my cigarettes; tomorrow they will tax your latte. If you have noticed a loud whirring sound lately, it is probably the sound of Thomas Jefferson, James Madison and the signers of the Constitution spinning in their graves as they watch the devastation of their beloved document by our socialist leaders in Washington. On Saturday the White House released a four-page document outlining the President’s spending plan. The report was a more detailed version of the plan announced in his speech January 9. It calls for $825 billion in pork barrel spending under the guise of “America Recovery and Investment”, otherwise known as the “stimulus package”. According to White House sources, the plan is near completion in the Democratic controlled Congress. The proposed bill will contain more pork than all the meatpacking plants in America combined. However, there is very little stimulus of the type that might create a substantial number of new jobs, or “jump-start” our lagging economy. Instead, it seems designed to enhance the reelection of the Democratic Congress in the 2110 elections. The Congressional Budget Office predicts that most of the spending will occur in 2010 and 2011, coincidently just in time for the 2010 and 2012 elections. Among the goodies supposed to create jobs and stimulate the economy is $30 billion to promote renewable energy, $200 million for renovating the Capital Mall, $275 billion in tax relief, even for the 40+ percent who pay no taxes, $50 million for the Endowment for the Arts, and, oh yes, $360 million to buy condoms for preventing the spread of venereal disease. President Obama indicated his estimation of the intelligence of the American voter by boasting that the bill would contain no “earmarks”. With that much pork, who needs earmarks? Many Republican lawmakers expressed opposition to the bill as it is emerging, but for the wrong reasons. They are not opposed to the idea of “bailouts” per se; they seem more upset that some of their pet projects are not being funded. The vote buying is directed mostly to the reelection of Democrats. When this spending plan goes into effect, the social, economic and political structure of American will be changed forever. As government takes more and more control of businesses through stock purchases and regulations the capitalist system that has given us a standard of living that is the envy of the world will gradually be transformed into a government planned socialist economy. With the planned deficits running at the rate of over a trillion dollars per year for the foreseeable future, we can expect the onset of hyperinflation and taxation that is even more confiscatory. If not for us, then for our children and grandchildren. It is not, however, the bleak social and economic outlook that should bother the true patriot. It is the total, complete and probably irrevocable loss of our Constitution that should concern us. Socialism cannot exist within the framework of our Constitution. The Constitution is based on the idea of free market capitalism with each individual free to pursue his or her own prosperity as they think best. The changes required just to make the proposed plans for health care and energy use in any degree effective will require major “forced” changes in our personal choices of lifestyle and living habits. An outline of the plan is posted on the White House website. The reader with a working knowledge of the Constitution will notice that none of the six items listed above fall within the authority of the enumerated powers delegated to Congress by the framers. Pseudo-Constitutional scholars like President Obama and others will attempt to authenticate the constitutionality of the plan by pointing to the phrases, “general welfare” and “necessary and proper” found in the first and last clauses of Article One, Section Eight of the Constitution. 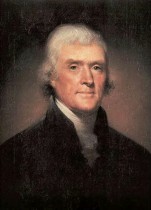 In 1791 Thomas Jefferson was engaged in an argument with Alexander Hamilton, the Secretary of the Treasury, concerning the establishment of a National Bank. In a paper to President George Washington concerning the matter, Jefferson dealt with the so-called “elastic clause”. “The second general phrase is, ‘to make all laws necessary and proper for carrying into execution the enumerated powers.’ But they can all be carried into execution without a bank. A bank, therefore, is not necessary, and consequently, not authorized by this phrase. 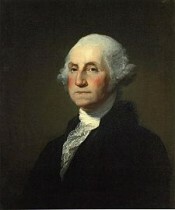 The framers rightly believed that to protect the liberties of the people it was necessary to limit the powers of the federal government to those specifically granted to them by the Constitution. To further reinforce this belief the ninth and tenth amendments were added to the Constitution in the Bill of Rights. That premise was no truer then than it is today. The doctrine of “enumerated powers” is still the best protector of liberty we have to defend ourselves against the spread of tyranny threatened by Obama’s plan to “save us”.